After ten days of tweaking the concepts and budgets of their dream projects the participants of the first School of Film Agents (SOFA) presented their work results to industry figures and the audience in Poland’s largest Art-house-Cinema Nowe Horyzonty on August 29, 2013. The new workshop initiative for committed film agents from Middle and Eastern Europe, the Caucasus and Germany found its ceremonial ending. Experts and participants were delighted by the group dynamics and the development of the innovative ideas. For more information go to the »Press« section to download the respective press release. Finally: The eleven participants of the first SOFA – School of Film Agents as well as all lecturers were officially announced during a press conference at the 13th Wroclaw International Film Festival T-Mobile New Horizons. Initiator Nikolaj Nikitin together with Berlinale director and SOFA-»Godfather« Dieter Kosslick introduced participants from Bulgaria, Estonia, Georgia, Germany, Hungary, Poland, Romania, Serbia, Slovakia and Ukraine with their respective projects. Find at »Projects & Participants« and at »Lecturers« all details about the participants or go to the »Press« section to download the respective press release. During a press conference at the Karlovy Vary International Film Festival, initiator Nikolaj Nikitin announced the launch of the first SOFA – School of Film Agents to be held in Wroclaw, Poland from August 19-30, 2013. 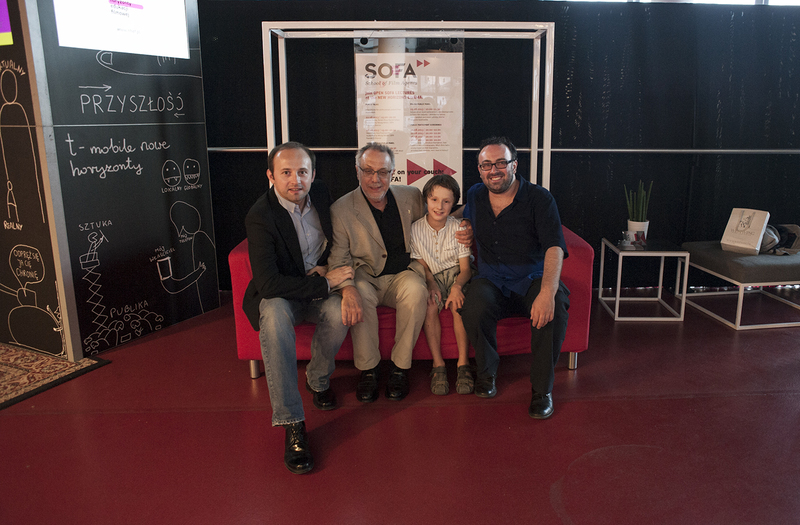 All SOFA participants with their selected projects and all tutors will be presented on July 26, 2013 in Wroclaw. Stay tuned!